From the moment she moves onto the stage, Shanta encircles her audience in an unforgettable experience of creativity and culture. Shanta’s performances feature not only stories, but also poetry, chants, and the spellbinding sound of African instruments. Melding the work of her own creative spirit with African folktales and contemporary African-American perspectives, Shanta’s stories stimulate imaginations and touch hearts. “Women of Spirit, Women of Power” celebrates the remarkable creativity and resilience which sustain women in the face of adversity. “A World of Stories” explores universal themes found in stories from around the world. “Glimpses of a Life” looks at 100 years of her own family history and personal experiences, against the backdrop of continuing struggles for human rights and equality. From the moment she moves onto the stage, Shanta encircles her audience in an unforgettable experience of creativity and culture. Shanta’s performances feature not only stories, but also poetry, chants, and the spellbinding sound of African instruments. 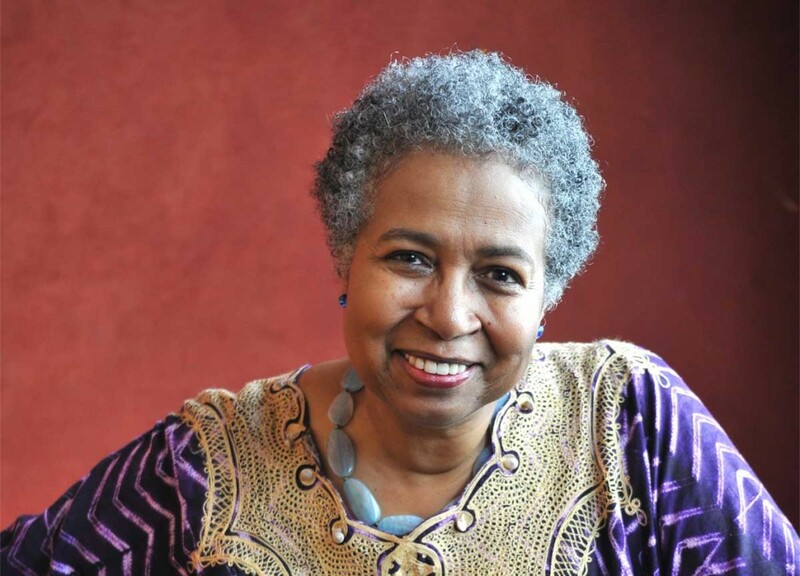 Melding the work of her own creative spirit with African folktales and contemporary African-American perspectives, Shanta’s stories stimulate imaginations and touch hearts. “Women of Spirit, Women of Power” celebrates the remarkable creativity and resilience which sustain women in the face of adversity. “A World of Stories” explores universal themes found in stories from around the world. Shanta’s performances of stories and songs of African people have graced the stages of ethnic arts festivals, performing arts series, museums, churches, and virtually any place where people gather for enjoyment, information, community-building, and/or inspiration. Drawing from a large repertoire of stories, her performances evoke, surprise, and sometimes even tears. The art of storytelling is not reserved for young audiences alone. Shanta is a storyteller and musician who has found large and enthusiastic among college students, senior citizens, and families in her travels from Chicago to various parts of the country. Combining original and world music with the spoken word, Shanta has been featured at the National Storytelling Festival in Jonesborough, Tennessee, and in China, India, Canada and The Yukon. Shanta is a master storyteller and musician who has been delighting audiences for almost forty years. Her presentations blend folktales, a variety of world instruments, songs, chants, and personal stories in ways that entertain, inform, and inspire. Melding the work of her own creative spirit with African folktales and contemporary African-American perspectives, Shanta’s stories stimulate imaginations and touch hearts. Without exception, all ages respond to the warmth, humor, drama, and excitement which the tales convey through her dynamic telling. Shanta’s influences and performances reach across continents, combining African folktales and personal history narratives. Sitar, mbira, djembe, guitar, call and response stories and songs. Glimpses of a Life (100 years of family history in black America), two tours of China, and the Zora Neale Hurston Award for preservation and perpetuation of African American folklore (NABS). Shanta’s unforgettable performance features stories, poetry, chants and the spellbinding sounds of African instruments. Melding the work of her own creative spirit with African folktales and contemporary African-American perspectives, Shanta’s stories are about empowerment, peace, healing and self-discovery. Without exception all ages respond to the warmth, humor, drama and excitement which the tales convey through her dynamic telling. “Glimpses of a Life” looks at 100 years of her own family history and personal experiences, against the backdrop of continuing struggles for human rights and equality. Beginning with family stories from the slavery and emancipation period, through Black Migration and the dawn of the vibrant Black Arts Movement, Shanta’s family history and personal experiences show us what has changed, and what has not changed, in the struggles for human rights and equality. As a world traveler, this program combines stories of African origin with stories from India, China and other parts of the world. “A World of Stories” features music/stories from around the world. Shanta’s performance of stories and songs of African people have graced the stages of ethnic arts festivals, performing arts series, festivals, museums, churches and virtually anyplace where people gather for enjoyment, information, community-building and/or inspiration. Drawing from a large repertoire of stories, her performances evoke laughter, surprise and sometimes even tears. Suitable for all ages, from Pre-K to K-6, High school to adult. This program can be offered to Middle school, high school, adult and family audiences. In traditional African societies, the storyteller was often the historian, as well as the culture-bearer. West Africa’s most vivid, intriguing, and enduring character is the trickster, Anansi. Follow the travels of Anansi from Africa to the west, where Anansi’s antics and themes are found in Brer Rabbit tales, often told on southern plantations. These stories of small spiders and crafty rabbits served to entertain and empower those who were using all of their spiritual and mental resources to survive their oppressive conditions. Shanta invites audiences to listen, laugh, and ponder the role of the trickster in folkloric traditions.